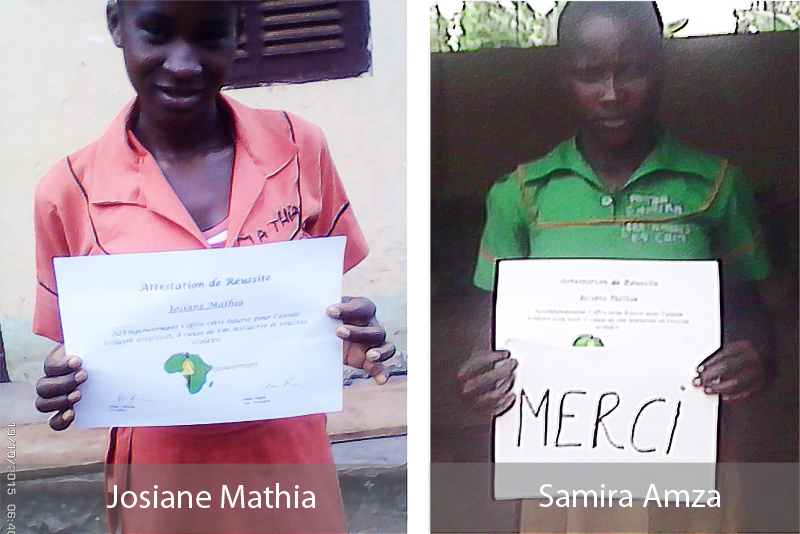 In 2015, A2Empowerment awarded scholarships to 234 women, in 7 regions of Cameroon: Adamaoua, Center, East, Extreme North (through a Cameroonian partner), North West, South West, and West. 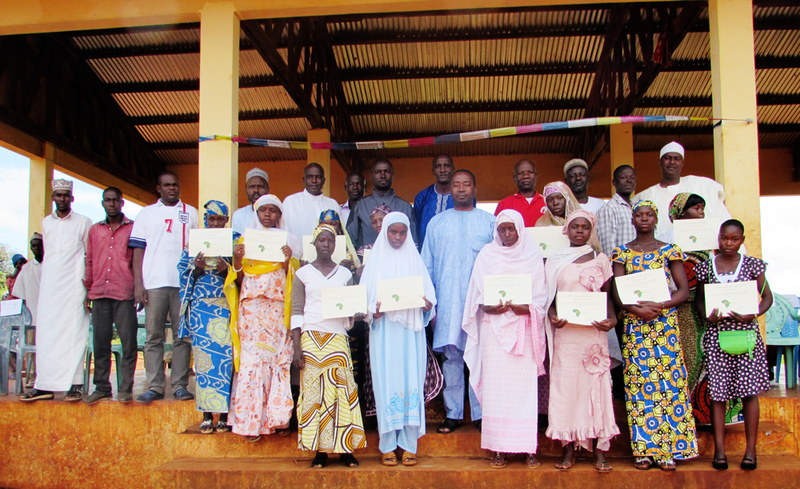 The following letters were written by scholarship recipients or communicated by their Peace Corps Volunteer mentor. We are the Leading Ladies of GBHS Mbankuong, a girls' club comprising of scholarship recipients for the 2015/2016 academic year. We are writing to express our sincere gratitude towards your organization. Many of us are orphaned by at least one parent and finding school fees is a challenge, especially this year in the face of poor yields on our farms and at our fisheries. Through the A2Empowerment scholarship we feel proud that we have made it at least a bit easier on our parents and relatives at the start of the school year. We are also writing to share with you some of what we, as a club, have been doing around our community. As scholarship recipients we have worked hard to become role models in our school community in order to encourage our friends and classmates to work hard and get involved with school, too. In November, our club leader, Madame Nkili, raised a small fund for a few activities for us to do around school and the community. 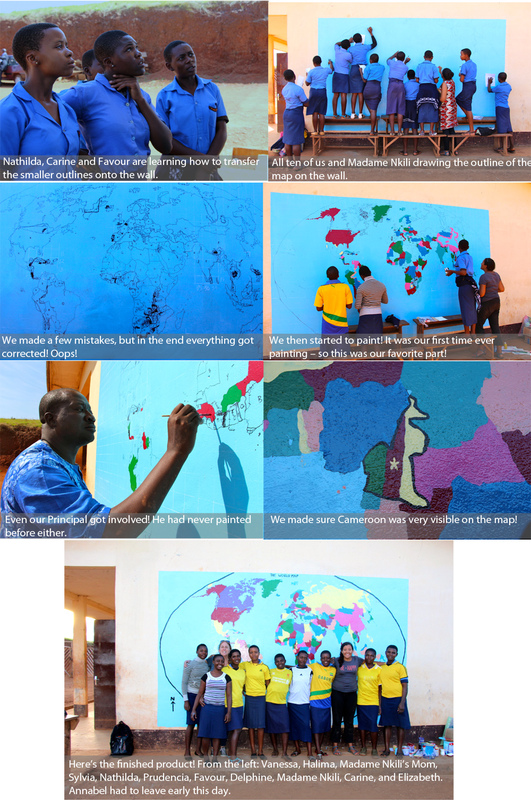 The first was to paint a World Map in our school compound. We painted the map in four days! It was a lot of work but we are very proud of our addition to the school campus. It stands in the main courtyard so that everybody can see it and use it as reference for their classes. We had so much fun painting the World Map. It was actually our first time ever painting. We made a few mistakes, but at the end of the process our classmates and teachers were really proud of and impressed with us. It is awesome to think that we can return to the school after we have graduated and still be able to see our mark on our school community. As Carine said, "Now everyone can learn and be proud of how beautiful our school campus is." 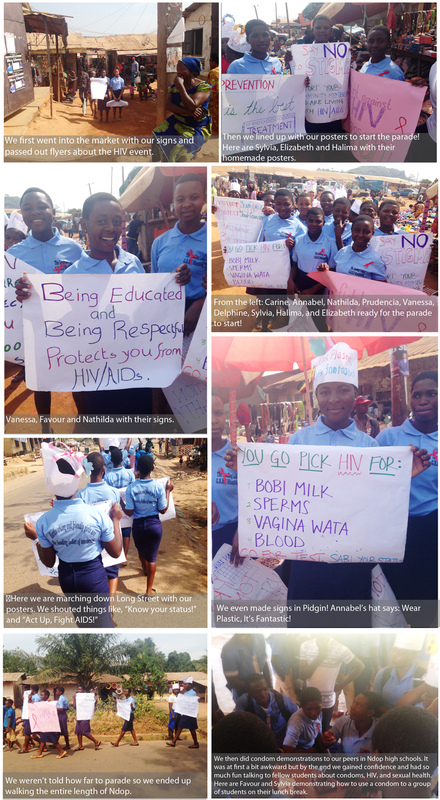 Along with our World Map, we participated in a World AIDS Day testing event in Ndop, our divisional capital. We traveled there (about 45 minutes) during a school day to help nurses from our district hospital and two organizations called Ndop AIDS Fighters (NAFI) and Knowledge for Children put on a large education and testing event in the market and at the Grand Stand by the Mayor's office. The day began with a parade along the main street of Ndop. The night previous we made posters and hats that informed people about HIV and the testing event. After that we helped set up the testing hall and listened to many speeches made by community officials. Then the real event began. We had so much fun welcoming people to the event and working as runners between different stations. An hour into the event five of us actually started to give condom demonstrations to our guests! We spent the day working with our peers, as most of the people coming to the event were local high school students from the school across the street. We really enjoyed encouraging our fellow youth and each other to learn about HIV and sexual health. The condom demonstrations were a very popular station. Many of our peers started to ask us questions about sexual health and HIV, and it was really empowering to be able to answer those questions on our own. Sometimes being from a very small village it is hard to earn the respect of the ?town kids,? but by working hard and being able to answer their questions we became the experts and felt very respected. By the end of the day all ten of us had also gone through the testing event. We went to pre-test counseling, did the test and at the end had post-test counseling. It was our first time getting tested, and we are proud to say that we are negative and will work hard to remain that way! Something we took away from the event was that even though we may be negative, we still have a responsibility to help our community and those living with HIV/AIDS. We really could not have done any of this without A2Empowerment. We are so very thankful for the hard work you are doing to help the girl child in our country. 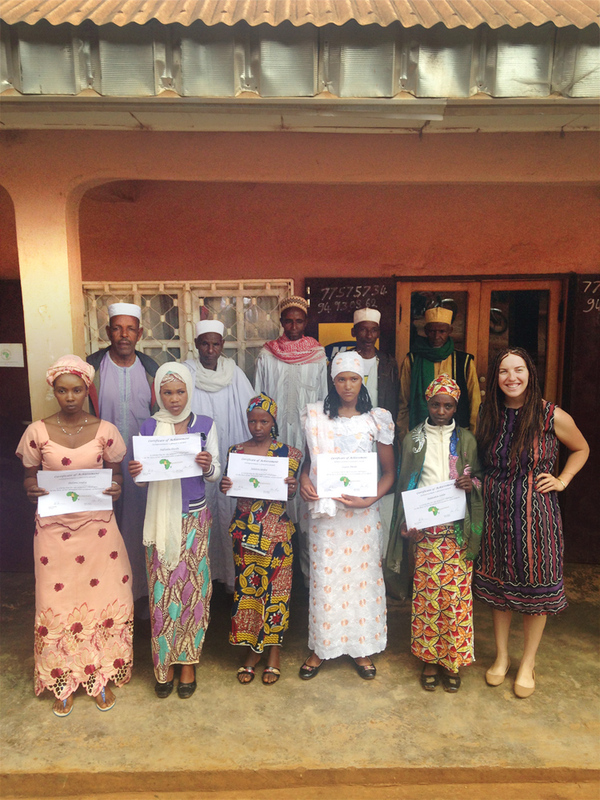 Hopefully by reading about all the work girls are already doing in Cameroon for their communities it will inspire others to become leaders, too. The Leading Ladies of GBHS Mbankuong have a motto: Hardworking and friendly girls are the leading ladies of tomorrow. 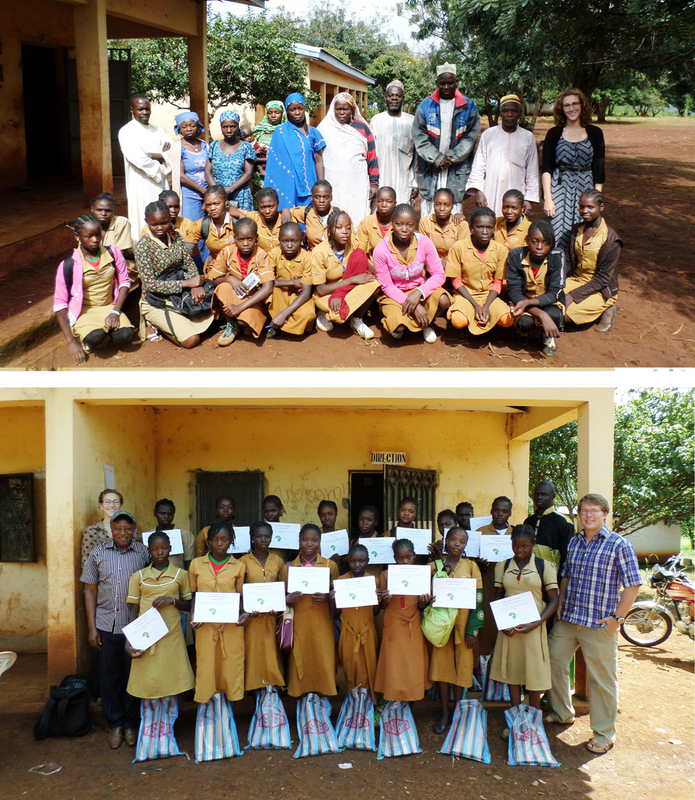 Thank you for your hard work and friendliness towards the girls of Cameroon. We hope you had a very happy new year. 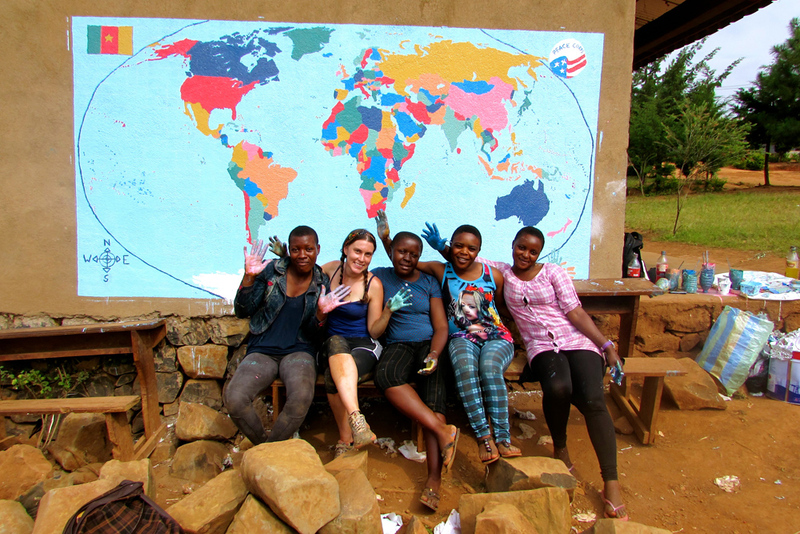 The Leading Ladies painted a World Map as a community building project. The Leading Ladies participating in World AIDS Day testing event in Ndop, capital of the North West region. At the end of the year, the group had time to reflect. PCV Mary Screen had the women write down their thoughts and sent them to us. Mr. Buba Sulle Dicko writes a biography of Fatima and Sa-adatu. Let me begin the stories of our A2Empowerment girls in GSS Upkwa with Fatimah Abdullahi. Fatimah is an orphan who lost [her] dad to thieves when she was still a few years old. She grew up with her grand mother in Upkwa, a resettlement camp for 1986 Lake Nyos survivors. Fatimah is a second time recipient of the scholarship award and is by far the best in academics, punctuality, dedication to community service and humbleness. She is a role model with a big dream of becoming a medical doctor. She is now 17 years old and plans to graduate from secondary school next year and go on to high school. Recently, her uncles attempted to pull her out of school to marry one of her cousins. She remained strong and determined to resist until the plan was finally halted. This term that just ended, her performance in school was encouraging more than ever before. "[I] will work hard to merit the support of people until i graduate from school and get a job" she recently declared to me a few weeks back when i sought to know how she was faring on. 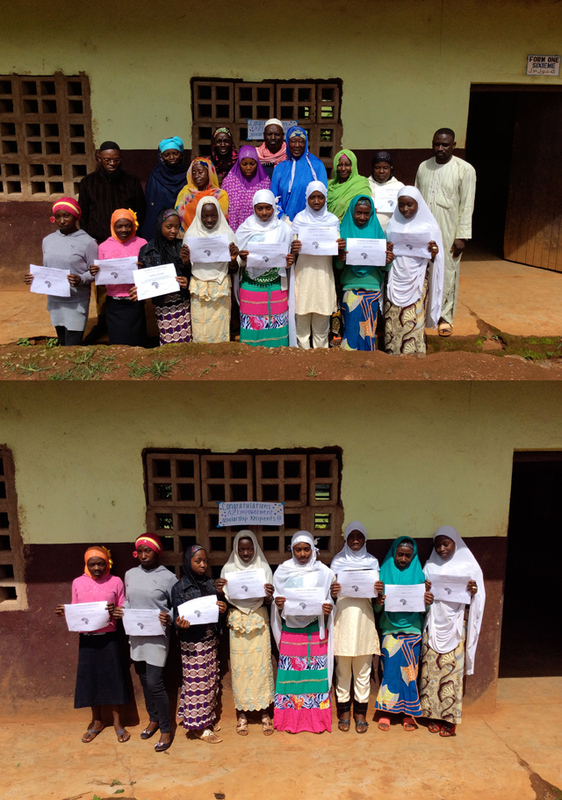 Like all the other girls in the Aku community, Fatimah wouldn't have been in school if GSS Upkwa was not created. The school is now host to some 57 girls less than 1% of whom would not have been in school if the school was not opened. In the Aku community, secular education has just begun to sink deep. Previously, Aku had total distrust for secular education. They claimed that children who go to school end up morally bankrupt with unwanted pregnancy being the inevitable for the girl child. It was considered a taboo for one's daughter to have a child out of marriage. Hence girls were married off as early as twelve years old. Even now, many parents only allow their girl children in school only as long as a husband does not show up. Every year, we have kept losing many girls to early marriages. But girls like Fatimah and a few others are poised to change the situation. It is also my wish to see this happen. Sa-adatu Adamu is a first time recipient of the A2 Empowerment scholarship. Last year, former Peace Corps Volunteer and i missed her a lot on the program. One of the outspoken and front role player among all the girls, Sa-adatu Adamu is the type of girl to be on such a program. In fact, we included her for most of our sessions last year because she triggers discussions and pulls the girls along in public speaking. Coming from a community where women play the back role, most of the girls spoke in their armpits out of shame and shyness. It took the likes of Sa-adatu to break the silence and even engage the boys in discussing gender sensitive topics. She is focused and dose not avoid eye contact when speaking to her teachers let alone her peers. Our wish have been to have her on the program and we luckily did. She is also one of those girls who has multitudes of potential husbands for her beauty and elegance. 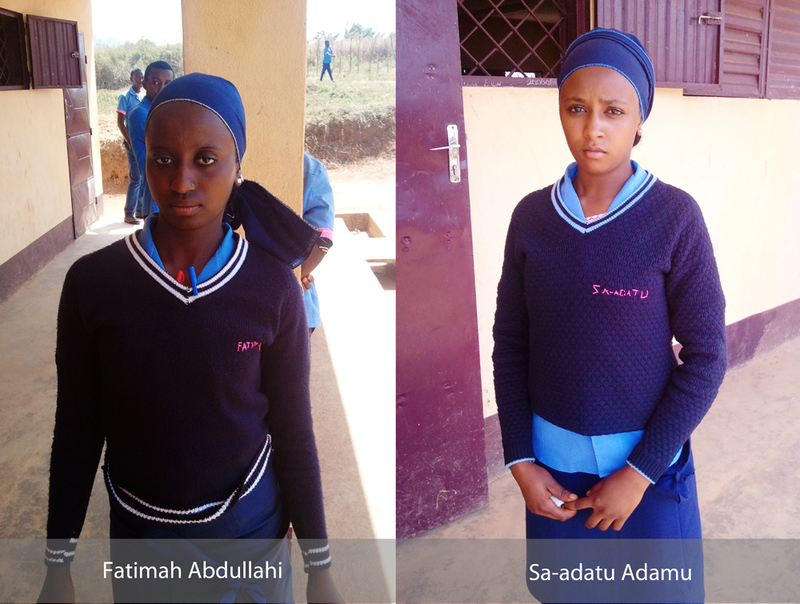 "Sa-adatu Adamu will not stop school for any man until she finishes school" her father declared when [I] sought to know from him how he is coping with the pressure of marrying her off. On her part, Sa-adatu is bent on continuing school and dreams to become a journalist. She is writing her end of course GCE Ordinary Level examination this June 2016. If she succeeds, she will proceed to high school out of Upkwa, her village. 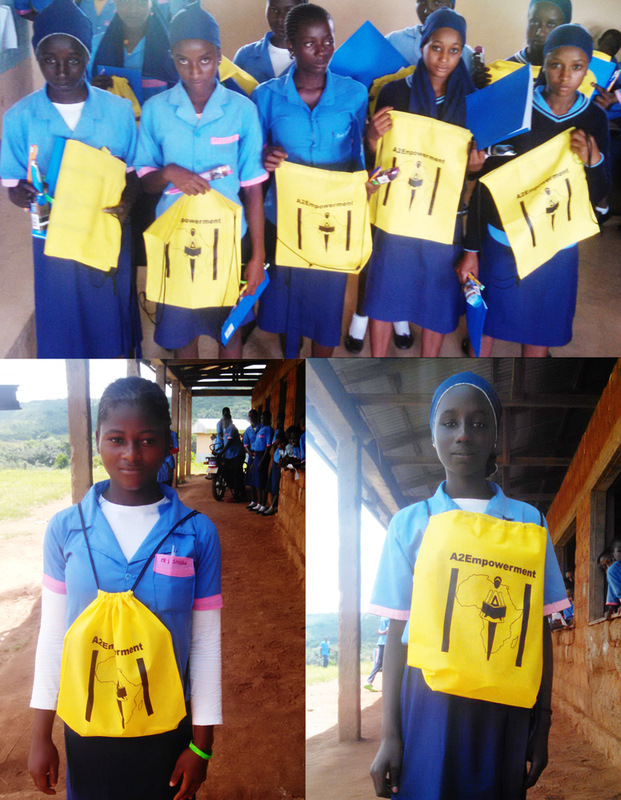 Going out of Upkwa to continue high school remains a serious threat to the education of not only Sa-adatu but all the girls. Because this will mean them staying away from their parents, a thing which majority of parents would not prefer for various reasons. Among the reasons is the lack of money to pay for not only fees but house rent and food allowance out of home. The fact that these girls will live alone is also a highly detested idea as they think this will further expose their daughters to social vices like prostitution. When [I] sought to know what she feels about the program, this is what she had to say, "I do not know how to thank A2Empowerment for this scholarship. My parents are just too happy and it has increased their pride in me. Now they see me as a girl who can make a difference in the society". Sa-adatu will remain at the center of school activities, from tuing the National Anthem during morning devotion to carrying the school flag during public events. She is also the senior school prefect girl who sits in all disciplinary council and Parent Teacher Association meetings as a students representative. Mr. Dicko also helped disburse a donation of school supplies to the scholarship recipients. The supplies were donated by Lynne Rapin and GloriaJean LaSota. Ms. LaSota also designed the bag.